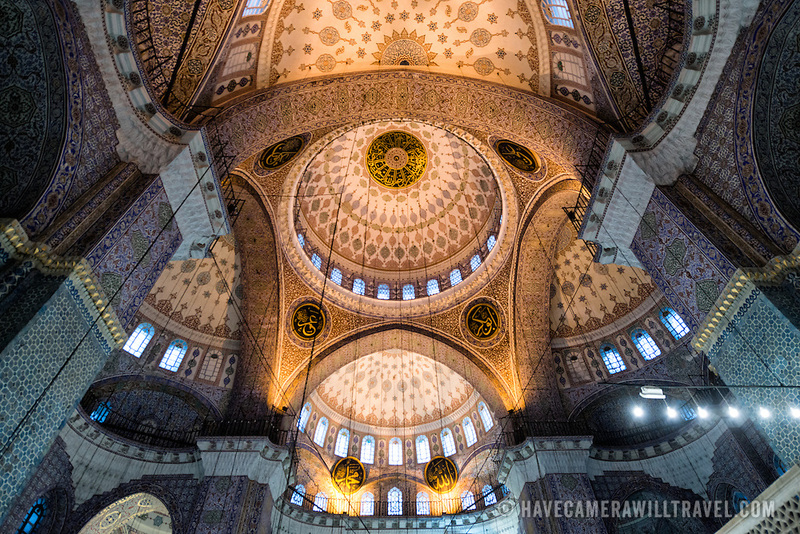 The ornately decorated interior of the prayer hall of the New Mosque (Yeni Cami) in Istanbul. Situated in the busy Eminonu quarter of Istanbul, at the southern end of the Galata Bridge, the New Mosque (or Yeni Cami) dates to around 1665. It's large prayer hall is decorated in the distinctive Ottoman imperial style.